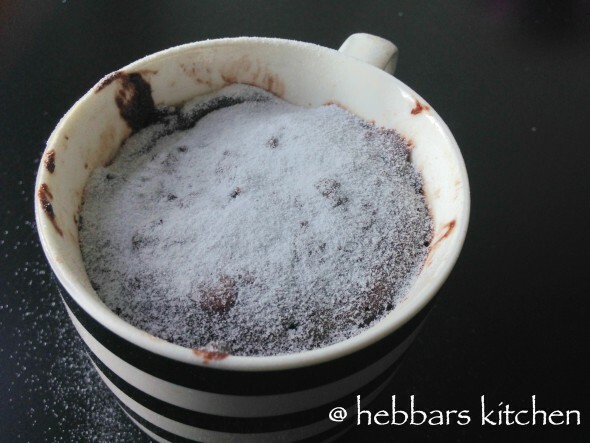 chocolate mug cake | 2 minute eggless chocolate mug cake – microwave recipe with step by step photo and video recipes. 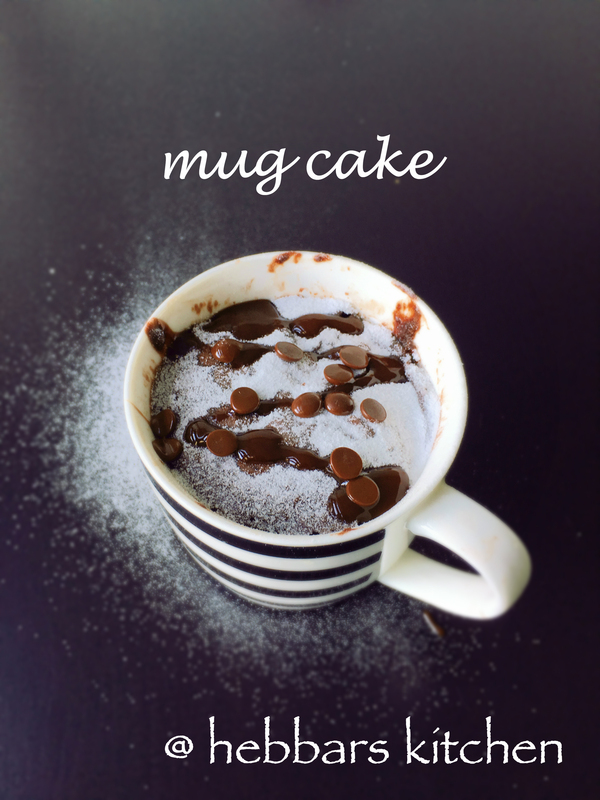 instant eggless chocolate mug cake for those who have craving for cakes. 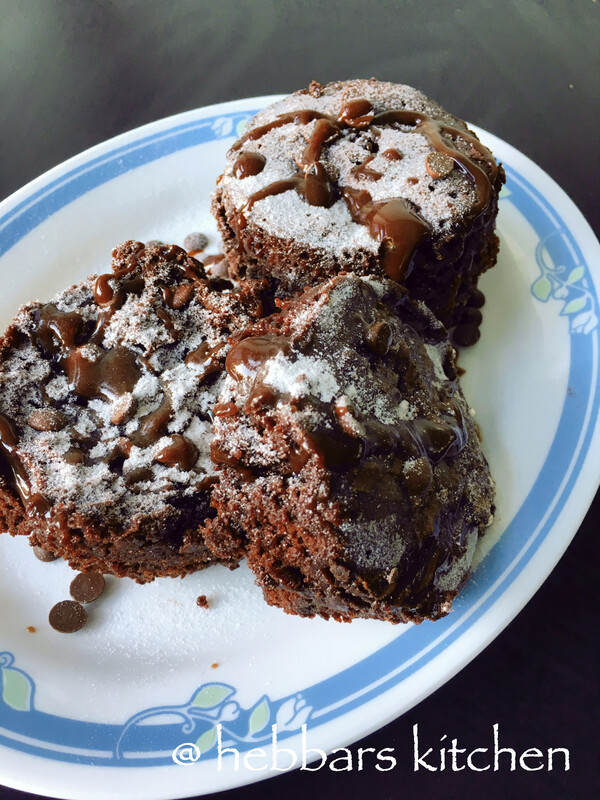 this is a perfect recipe for those who are looking for spongy, moist and yet delicious chocolate cake. 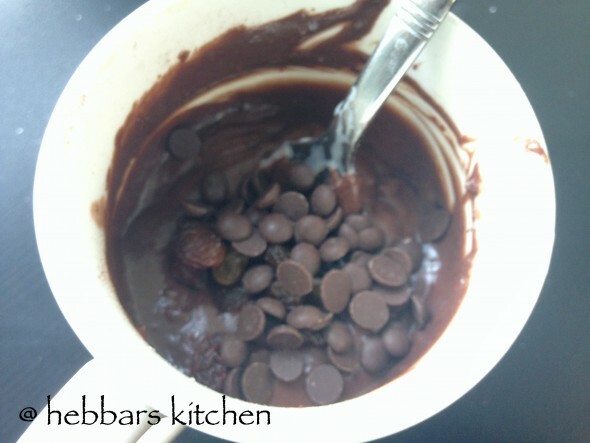 satisfy your chocolate craving in just 2 minutes. 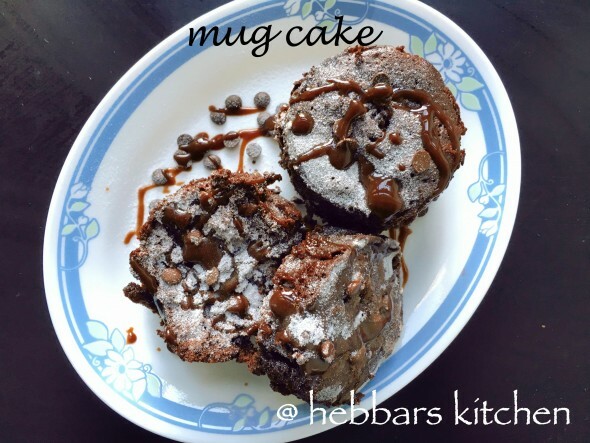 mug cake doesn’t require any eggs. i am just using condensed milk to get the moisture and sweetness. 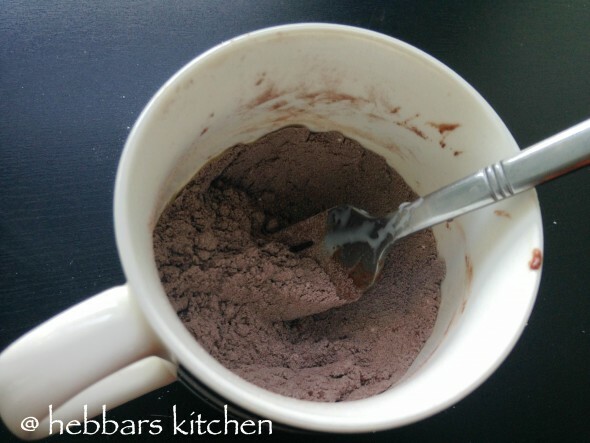 guilt free cake recipe as there is no sugar added to the cake. 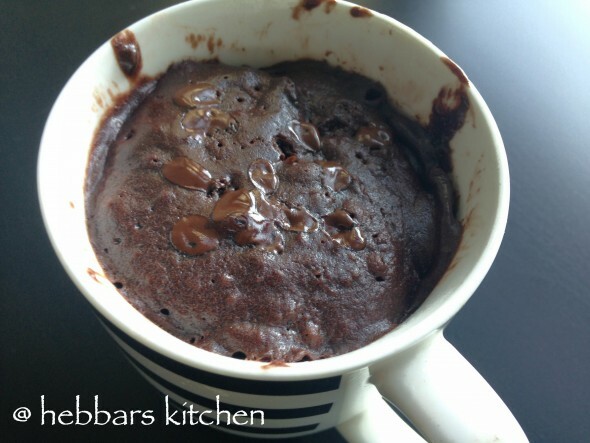 the cake is baked in microwave for just 2 minutes, hence i have named it as 2 minute eggless chocolate mug cake. sometimes i do add chocolate chunks to make my cake rich and moist. follow the proportion of ingredients exactly to get a perfect texture and taste. 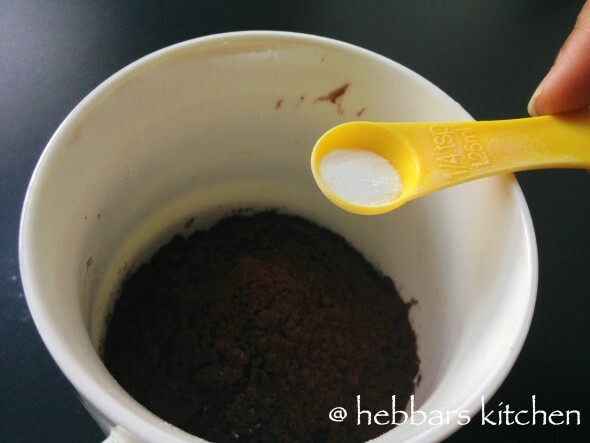 if you are not fond of chocolate, you replace cocoa powder with coffee powder or add any essence. i do sometimes add lots of raisins, walnut and cashews to get crunchy bites. 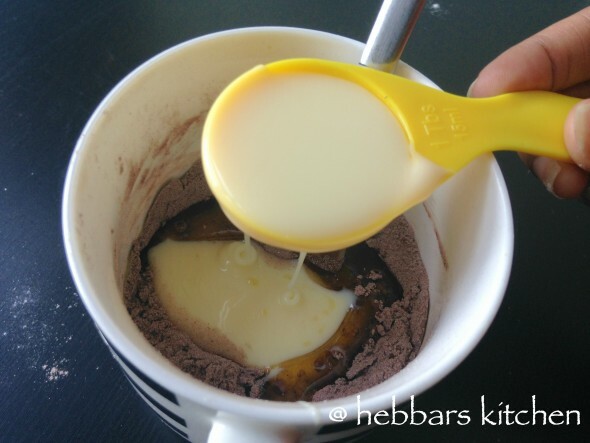 to give an extra sweet touch add a tsp of sugar along with condensed milk. increase the proportion accordingly, if you want to bake the cake in larger size. before jumping into the recipe’s you may be interested with other desserts like instant jalebi recipe, pineapple sheera, rava ladoo, carrot halwa, kayi holige, besan laddo, mango rasayana, gulab jamun and milk powder doodh peda. 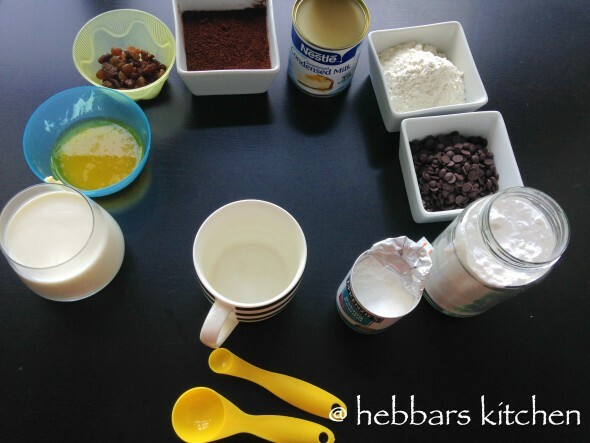 prepare all your ingredients before you start to bake cake. 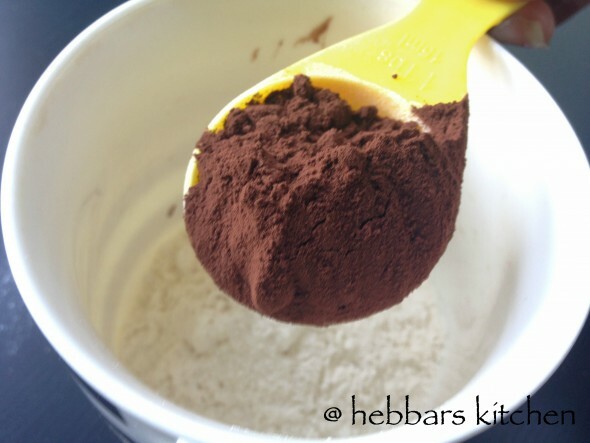 add one and half tbsp of cocoa powder. 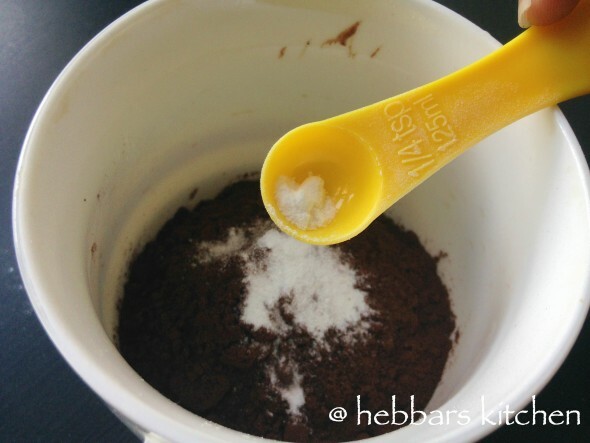 mix it properly and make sure no lumps are formed. 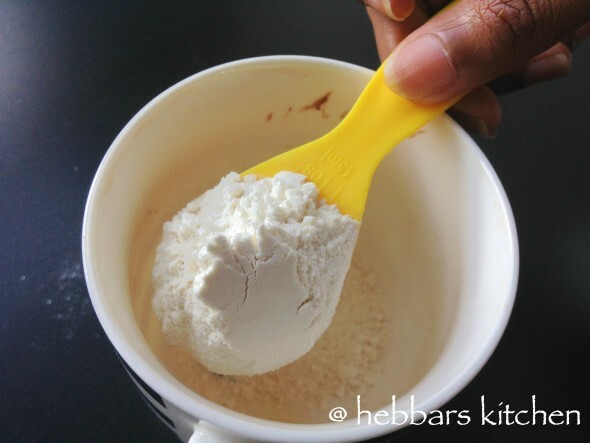 give a proper mix, so that no lumps are formed. top with sugar powder and chocolate syrup. the chocolate mug is ready to serve. 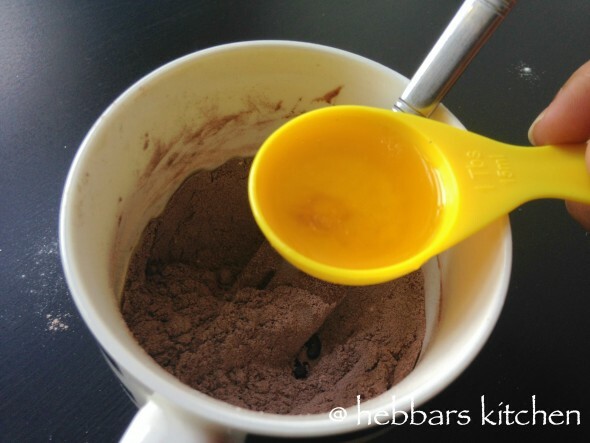 add 1½ tbsp of cocoa powder. the recipe is for microwave so we make the batter more moist. no eggs used in this recipe. add a tbsp of sugar if you like it sweet. however, condensed milk do have sweetness. insert a toothpick or fork to check if your cake is baked. it should come out clean, with no streaks of batter. if not, microwave for another 30sec and check again. increase the proportion accordingly, if you want to bake the cake in larger size. you can also prepare small cup cakes. 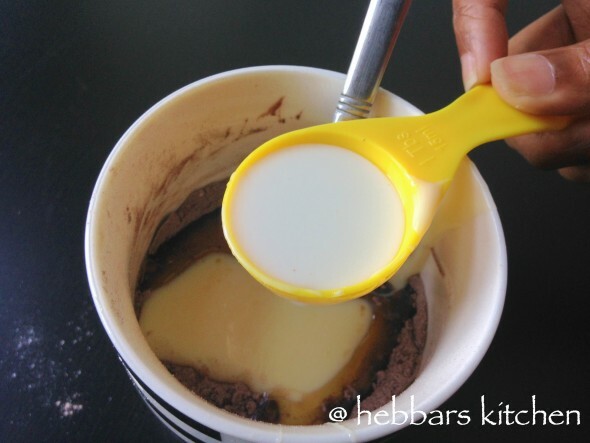 prepare the cake batter; fill into small cup cakes mould (microwave safe) and microwave. If we add egg, will it change the taste or like that? Followed the exact measurements given here and it turned out really well! Thanks for this wonderful recipe. Tried this cake today!! It was awesome!!! Thank u so much!! This was my first cake making attempt and it was super yummy. so easy, so quick. I have done this several times now and whenever there are kids in the guest list, I make this cake and they just love it. thank you Hebbars kitchen. you are welcome Ashima. I am glad you liked it. I loved your recipes, looks so simple and easy. 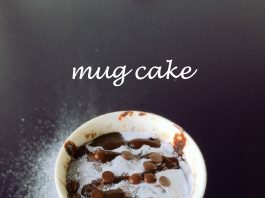 I tried mug cake today but it turned out to be very dry should I add more milk to it , to make it moist. I saw your pizza recipe want to know if it can be made without yeast . yes it can be made with baking soda and powder. check out my veg pizza in tawa. i have not used yeast in it. 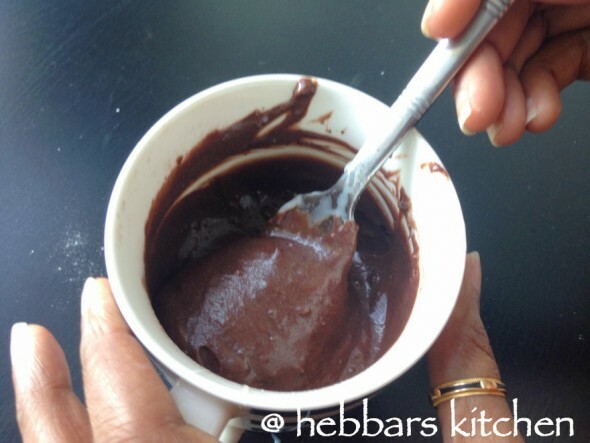 I love you Hebbars… I am trying all your recipes. microwave it for what temperature? Can you suggest a gluten free flour that can be used instead of Maida? Thank you for the Wonderful receipes here.. I have started to love your blog… Cake receipe is yummy. Also I have tried other receipes which was also good like bread medu wada, bread masala, bread cheese roll, samosa, garlic naan. Will be trying other receipes too. Thanks again. Hi there, can we place ceramic cup in oven? Also what temperature would be required to bake in oven. yes you can. bake it for 30 minutes at 350°F. Do we need to sieve the ingredients?? yes it would be a good option. Do we need to seive the ingredients??? What would be the temperature to cook in oven? Nd can ceramic mug be placed in oven? Thanks in advance. bake it for 30 minutes at 350°F. I’m starting to love Hebbar’s Kitchen. Being a vegetarian and always falling short of quick recipes, your preparations are simple and easy to make. Looking out for some healthy instant dosa/ or any snack recipes. Is there any substitute for milkmaid? I love to cook nd as well baking too but I don’t have microwave or oven so I couldn’t tried any desserts, but I eagerly want to try this, so I can use pressure cooker instead of microwave? Plz let me know….